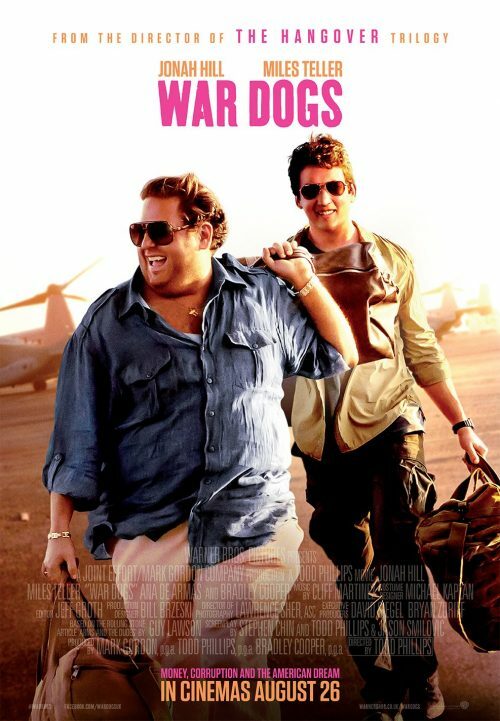 Based on a true story, “War Dogs” follows two friends in their early 20s living in Miami during the first Iraq War who exploit a little-known government initiative that allows small businesses to bid on U.S. Military contracts. Starting small, they begin raking in big money and are living the high life. But the pair gets in over their heads when they land a 300 million dollar deal to arm the Afghan Military – a deal that puts them in business with some very shady people, not the least of which turns out to be the U.S. Government.